Bees, wasps and their relatives are injected during a bite the poison. It causes redness, pain and swelling in damaged areas. Malaise a person can last from several hours to a day or more, if the body is already under the influence of allergens. In addition, it depends on who attacked you. What poisonous insects can sting? Knowing the answer to this question helps to apply the right treatment and avoid bites afterwards. • The honey bee, the girl with Golden body, sting only once because its stinger is jagged form, gets in the skin and causes the bee to die. • The sting of bees, wasps and hornets are smooth, they can sting repeatedly. So you may have to flee. • The hornets have natural protection: if you kill one, the attack will catch the rest. In his pouch of poison contains a substance that stimulates the attack the swarm. Poisonous bite: what actions to take? The sooner you use first aid in case of bites, the easier it is to get rid of the effects of poison. • Bee sting you need to try to be removed immediately. Located on the SAC of poison pulsing for 1-2 minutes, contributing to the penetration of the poison inside. Well, if you have at hand a pair of tweezers. To get the stinger out, you can use nails, some kind of cutting tool. If you scrunch it, get a large portion of the poison, so try to act with maximum caution. 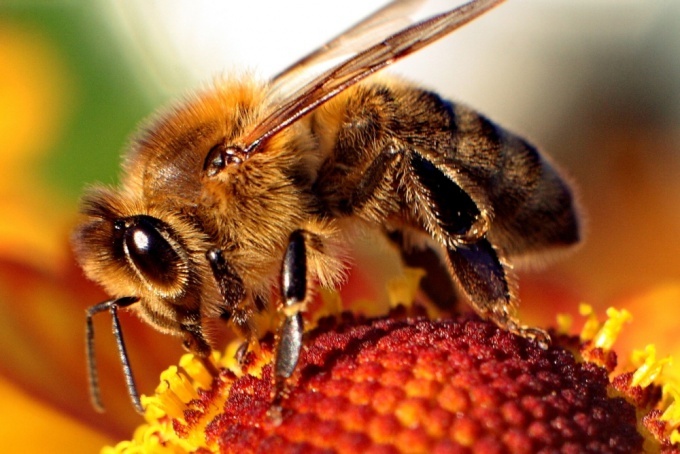 • To avoid the consequences of bites, immediately wash the bite with soap and water or water with antiseptic, because the sting of the insect in the deep layers of the skin can get infected. • For pain relief it is advisable to apply cold, it will cause the spasm of small vessels and slow down the spread of venom through the blood stream. • Some recommend to take an aspirin, wet the bite and RUB the tablet. Aspirin in addition to pain relief is able to neutralize some of the substances included in the composition of the poison. • At home you can use a paste of ordinary baking soda and water, a lotion of ammonia. • Good effect in treatment of bites has chopped and slightly moistened activated charcoal. After applying to the bite, you need to cover the gauze bandage. • Take an antihistamine. It will reduce pain, swelling and redness. • Try to wear thick clothes that cover all parts of the body, use of means of repelling insects. • Do not use deodorants, perfumes, lotions, shaving. Our flying enemies can confuse you with a flower. • Be prepared to escape quickly to the room in the middle of the woods or jump into water.